Whether your business has decided to develop a new social media strategy or you're wondering how to build a better online marketing program, the decision to rebrand or redesign your website is a major step for any business. You need to consider the strategic goals you want to achieve, and ensure that your investment will do all that it can for your business. Here are 6 essential trends to be aware of as you consider your web marketing strategy. Growth-oriented business-to-business (B2B) companies are always looking for new ways to reach the marketplace. But with today's proliferation of marketing channels and avenues, the essential question is how to gain the best return-on-investment (ROI) on your chosen marketing direction. Why should customers choose your business? That is the most pressing question for any company or organization. How you answer this question will largely determine the level of success (or survival) that your business achieves. If your brand strategy and identity is to stand for something, it needs to be in alignment with the answers to this question. Business leaders today are constantly operating in the middle of two extremes. On the one side are all of the tactical demands of the business - tasks, issues, crises and other things that just have to get done. On the other side are all of the strategic demands - the ideas, concepts, strategies, messages and models that are essential to the future of your company. Some CEOs focus too much on the tactical side (working in the business but never on it), and others get wrapped up in strategic thinking but lose sight of day-to-day execution priorities. 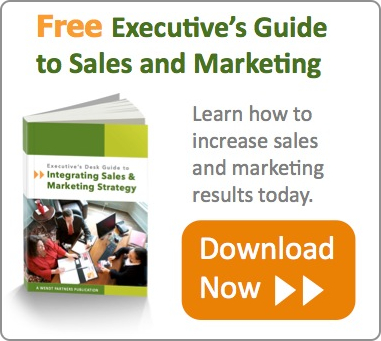 Marketers know intuitively that the ultimate goal of marketing is to make sales happen. And yet, oddly, marketers are often cut off from the information, relationships and connections they need to make that possible -- or they are given tasks that are considered important to the company but don't actually have any clear relation to the sales effort. Customer Relationship Management (CRM) systems are an essential tool for every business. From major multinationals down to solo entrepreneurs, every business needs to select, implement and - most importantly - use a CRM system. Professional selling in the business-to-business (B2B) marketplace has often boiled down to having people on the sell side who know people on the buy side. One sales person's Rolodex is another company's prospect list, or so the saying used to go. Today, however, that no longer works. Buyers and sellers alike change jobs; companies merge, consolidate or close; industry sectors are shifting in focus and growth potential. The business-to-business (B2B) selling environment has radically changed, but unfortunately many B2B companies have not changed with it. Research shows that today's B2B buyer is more educated, more sophisticated and far further down the decision path when they connect with your sales team than was ever the case before.